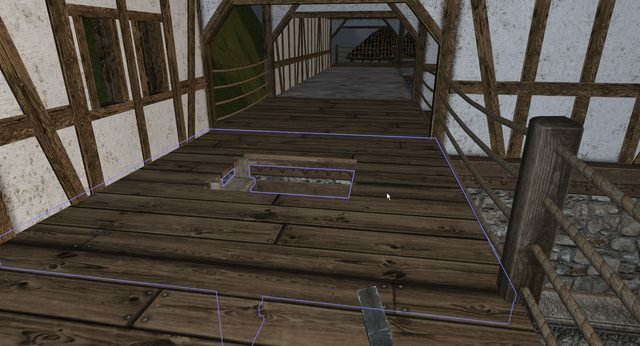 When removing an opening (and I guess a floor) with a fence on the same level the damage added to the floor is transferred to the plan and then onto the opening again once rebuilt. Nothing show-stopping, but I guess having >100 damage may mess up something somewhere and also if that opening was to ever get a damage tick I'm sure Wurm would implode or something. Sorry in advance. Be Marni and forget there's a fence above. Plan remains, has 3K damage. Realise you can't remove or change the plan with the fence there. New opening has the 3K damage. - The plan shouldn't inherit the damage when the floor/opening is destroyed. - The fence should not prevent the replacement/removal of the plan. How did you destroy the floor? What was the messages you got in the event tab when you tried to replace the plan? Which side of the tile was the fence located (e,w,n or south)? You get the collapsing warning? Edit : I see you did. This is odd as it looks like a floor next to outer wall, else I was also gonna say something about in what order to remove temporary floors. so yes, zcul the fence would prevent the removal of the floor plan in this case because there is nothing on the other side or underneath of it to hold the fence up if that floor tile is removed.